I did visit a distillery, once. Years ago, my newly married husband and I were holidaying in the Highlands, and found ourselves with a few hours to while away, while waiting for the sun to re-appear. It was, as my cousins say “chucking it down” that day on the Isle of Skye. While meandering around in the rain, we chanced upon the Talisker Distillery. The only distillery on Skye, they had a tour beginning shortly. I am a sucker for watching how things are made, so it seemed like a fun diversion. Almost as soon as the tour began, I started breathing through my mouth to avoid the aromas of peat and the stills, and I am sure the friendly tour guide thought I had a cold. He took us through the steps of production and I did find it very interesting. But everyone else was most interested in the samples, which were generously handed out throughout the tour, at three different spots. When handed mine, I demurred politely, but the guide, not quite believing I meant to turn down scotch, insisted I “give it a wee try”. I took the offered cup, then looked helplessly around at my husband to take it off my hands. He is not really a scotch drinker either, and had his own “wee dram” to knock back, so he offered mine to another fellow. In short order, I became the most popular person on the tour, and made some excellent, though short-lived friends! It seems generous Scots folk are always giving me scotch. I had two free bottles of it handed to me as Younger Son and I left a performance of a delightful play in Glasgow, last year. The scotch company was the play’s sponsor, so it actually did make sense. Poor Stephen (my Scotch-loving friend) turned very pale when I told him I had no idea what became of those bottles – probably in the cupboard over my refrigerator, with all the other booze people give us and we don’t drink. The only alcohol I like is bone dry white wine or bubbly. I’ll happily put booze in a chocolate truffle or ice cream, however. Ah yes, chocolate. Scotch and chocolate tastings have become very popular of late. 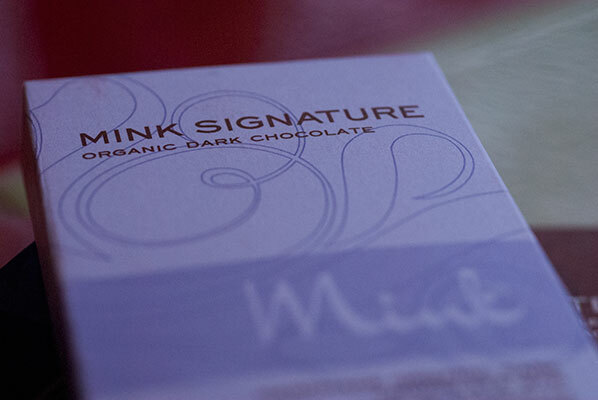 I noticed that some of the distilleries in the Highlands are offering tastings of their product with fine chocolate at the end of their tours. I wish that had been the case when I visited. While having the afore-mentioned conversation with my good friend Stephen, who has generously given me his time and expertise on a couple of chocolate tastings, we hit upon the idea of doing a scotch and chocolate tasting of our own. If anyone can get me to actually like the stuff, it will be him. He is passionate about “the water of life”, attending pairings, celebrations and reading everything he can about origins, terroire and tastes. Hmmm, a lot like some of the finer chocolate lovers I am privileged to know. He and his lovely partner have agreed to host my partner and I and another couple of their friends, to make a perfect half dozen for the event. Look for clarity and colour. Is it sparkling clear or murky? Brilliant or dim? Cloudy? Pale or dark? Thick or thin? Do you find the colour appealing? How would you describe it? What does it remind you of? 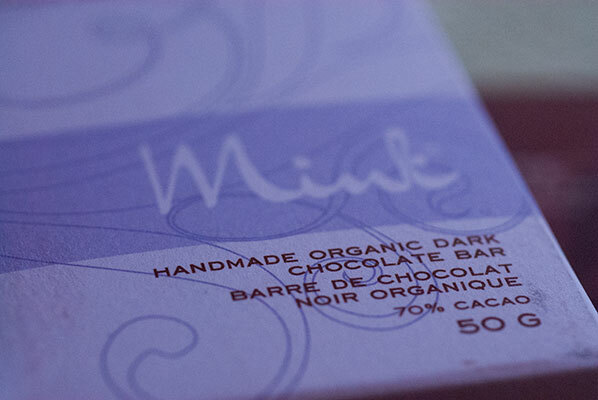 Warm the glass in your hands for a few moments before nosing gently, mouth open. Don’t sniff, breathe. What aromas do you pick up? There may be many, and it may take time for them to sort themselves out. You may find that they’re lined up or layered, or jumbled and disordered, and that some of them hang back for a while. What season(s) of the year does it smell like? What images or memories do the fragrances invoke? Are they pleasant or unpleasant? Sweet or rank or rancid? Swirl the liquid in the glass and nose again. Malty & Dry: Drier on the nose. Crisp, cookie like, sometimes dusty, with odours reminiscent of flour, breakfast cereal, and nuts. On the palate: dry, balanced with sweet oak. Taste. Not a huge gulp but enough to coat the mouth and tongue. Hold it in your mouth and breathe through your nose. Let it reach all parts of your tongue. How is the mouth feel? Thick, thin, oily…? What flavours do you taste? You may get all, or some, of the flavours corresponding to the fragrances you smelled; you may get some new unexpected ones. After you’ve swallowed, wait. How long is the finish? 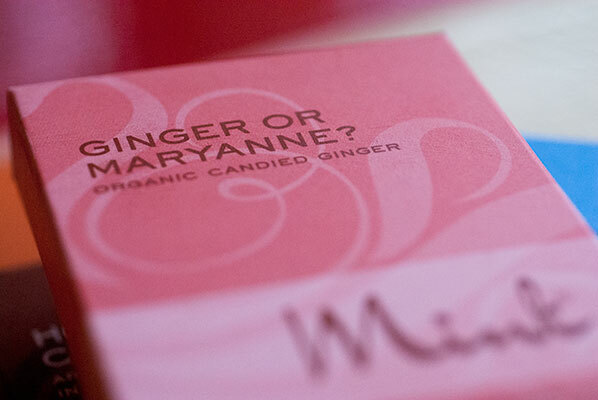 How do the flavours, fragrances and other sensations change? A great whisky will move in waves through the finish; there may be a flash at the very end (the death). 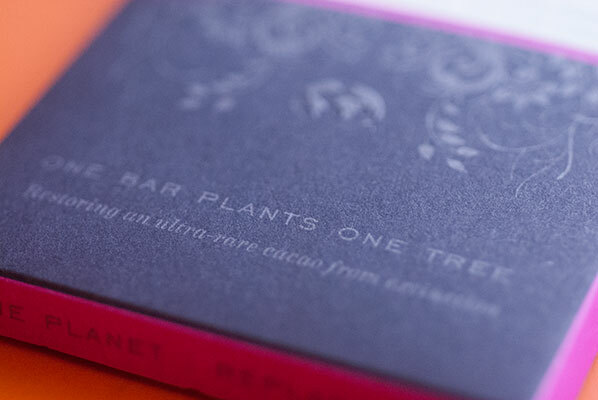 He also supplies a template for making notes while tasting, very similar to one we use when sampling chocolate. I read his notes on the scotches he has selected for the event, and am terribly impressed. He is thorough, specific, and has a great deal to say about maturation in oak, sherry casks or steel, alcohol by volume, the difference in waters from differing regions … and this is in ONE small country. 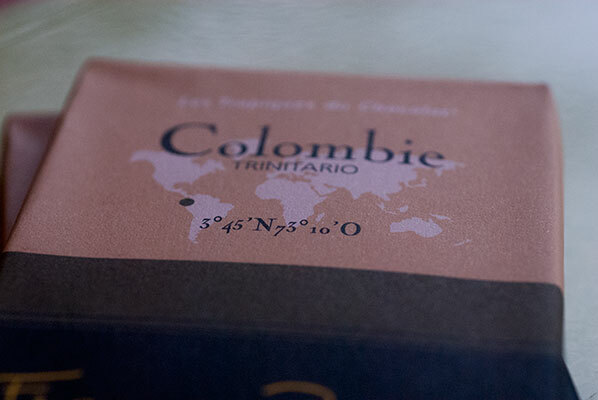 I will have to bring my best game, and set out to find some chocolates of the world, worthy of this pairing. 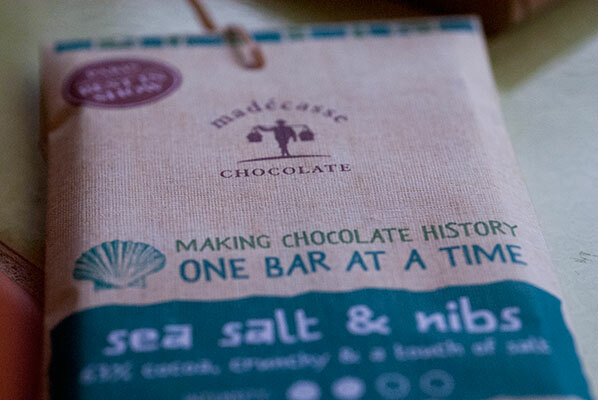 In one afternoon, after consulting (and consuming many samples of very fine chocolate) with the knowledgeable staff at Xoxolat, I walked out confident of my selection and eager for our event. 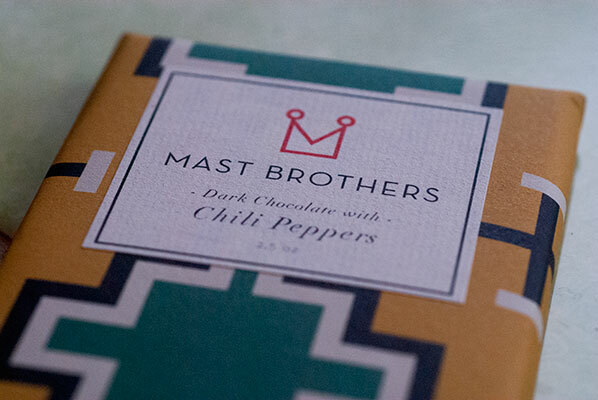 Dried Serrano peppers paired with single origin Dominican Republic dark chocolate. 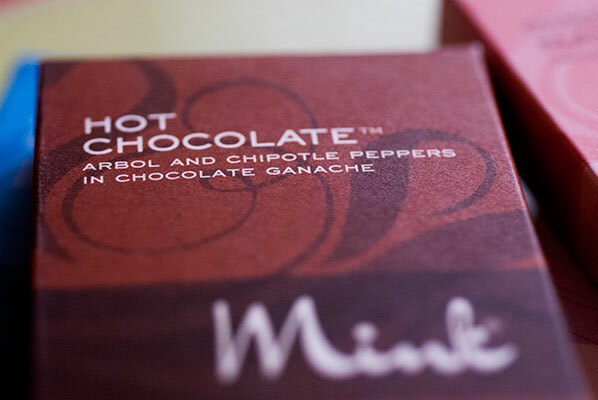 Hot and spicy, with chocolatey notes of tobacco, cherries and earth. The peppers originate from the mountainous regions of Mexico, and are dried and stone ground. 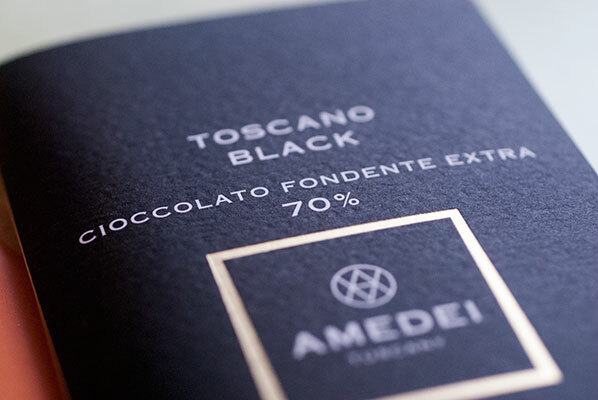 Amedei Toscano Black 70% Dark Chocolate – hints of tobacco, toasted bread, orange rind, flowers, walnut, cedar wood, and chocolate. 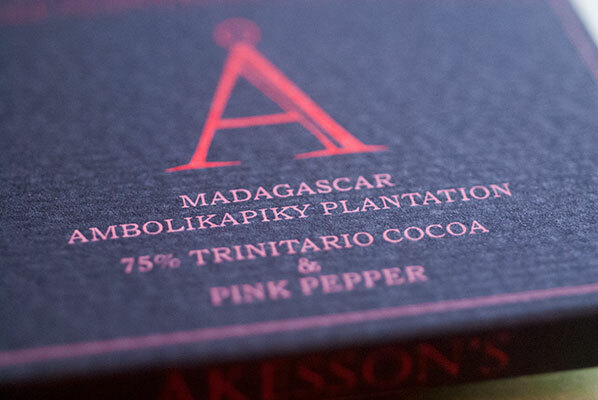 Akesson’s Single Plantation Chocolate – Madagascar Ambolikapiky Plantation 75% Trinitario Cacao and pink pepper. 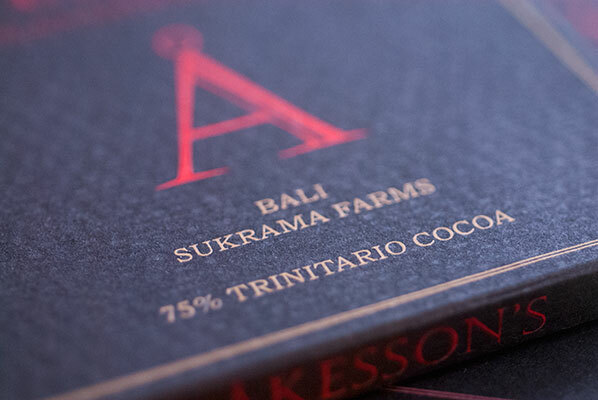 The plantation is located in Sambirano Valley, Madagascar. Citrus and red berries, floral notes of pink pepper. 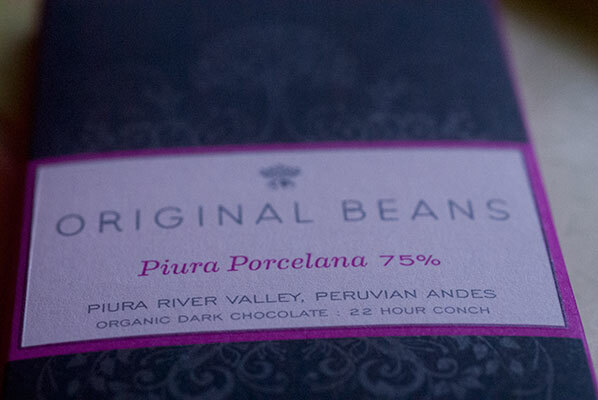 This “forgotten” white cacao, or “Porcelana”, in its original state is rare and appreciated for its vibrant, fruity flavours. Kumquat, lime, apricot, raspberry flavours and notes of toasted pecan; balanced acidity, lingering finish. 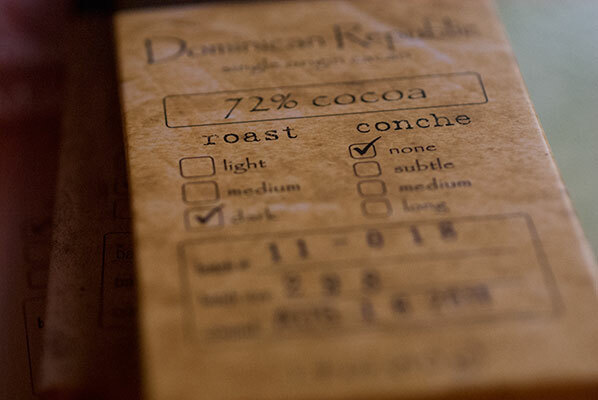 63% cocoa. Cantaloupe, blueberry, salt, pear, citrus, watermelon, almonds, candied yams, strawberry. coffee, buttery milk, caramel, butterscotch. Aromatic intensity, spicy, milky, and light acidity on the finish. The Glenlivet 12 year old – 40%: Southern Speyside. Glenmorangie Original – 40% (rhymes with “orangey”): Northern Highlands. Aberlour a’bunadh – 60.1% (“lour” rhymes with “power” and “a’bunadh” is like “a-BOO-nah”): The Ben Rinnes cluster in northern Speyside. Laphroaig Triple Wood – 48% (la-FROYG): South coast of Islay. One of “The Kildalton Trio” (which includes Ardbeg and Lagavulin). As I am looking for potential interesting combinations, he sends me a note to let me know one of our guests has a sever allergy to peanuts. No problem, I think. I am sure none of these fine bars contains any peanuts. 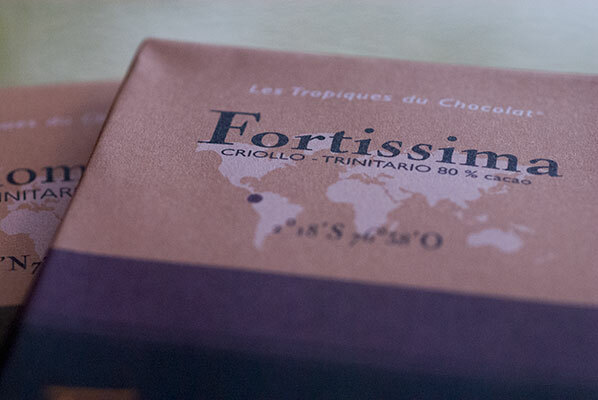 The thing is (and I completely understand that they have to do this), when I checked the wrappers, seven out of the eight bars carry the warning: May contain traces of nuts. One of the bars does not say where they do or not, but by the time I got to it, I felt I couldn’t take it for granted. 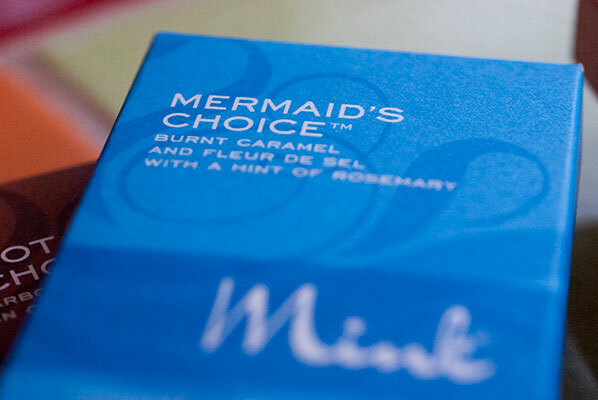 As stated, I completely understand – no-one wants to hurt anyone with their lovely chocolate. So now, I need to find some chocolate I can assure our friend will be peanut-free. 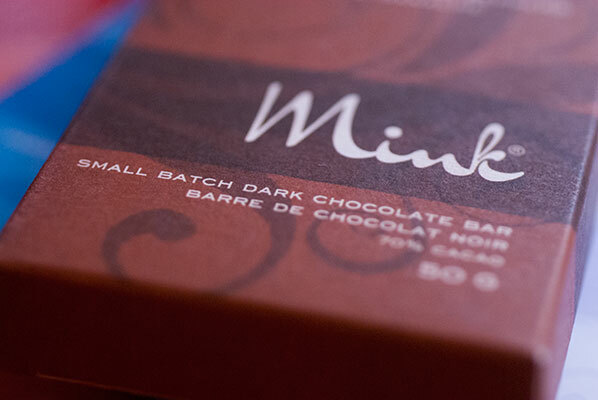 After scanning the internet, and making a few phone calls, I find that Mink Chocolate in Vancouver guarantees their products are made in a peanut-free, but not tree nut-free facility. 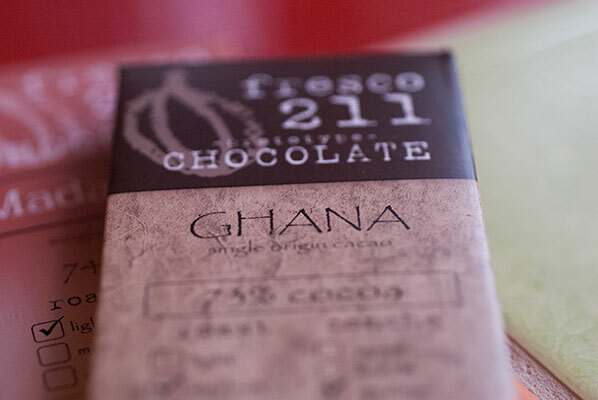 This is a delicate cocoa with natural fruitiness reminiscent of raisin or dried plum. 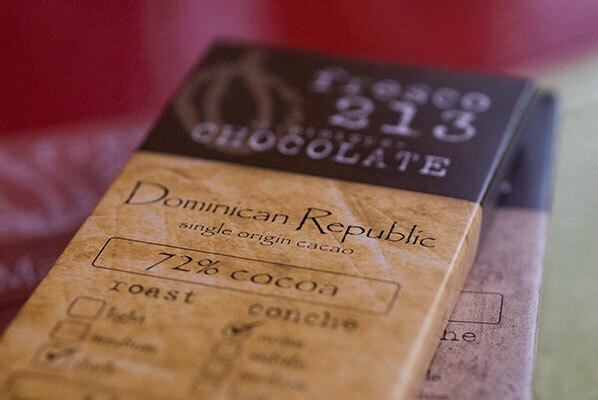 Eliminating the heat and aeration of conching preserves some of the cocoa’s natural, aggressive flavor notes. This recipe has a fast start with interesting flavor transitions. 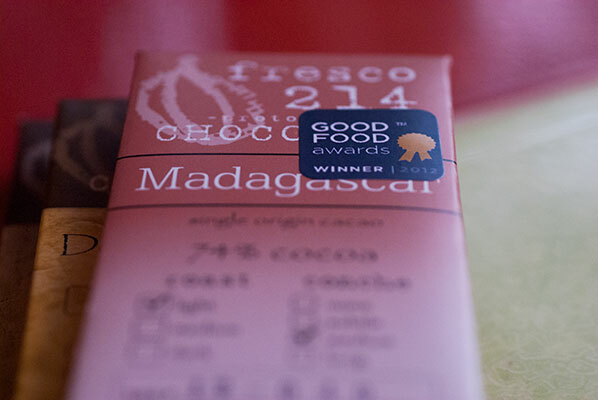 Madagascar cocoa is characteristically bright and fruity. The light roast on this recipe leaves those flavor notes full strength. This recipe exhibits a fast start with notes of citrus reminiscent of grapefruit. The finish is medium and slightly tannin. So, we are all set. I feel confident I have thought of everything. We have, in fact doubled the options for tasting and are “good to go” for tomorrow’s dinner and tasting. I have my notes, my two sets of chocolates, Stephen and his wife have invited us for a lovely dinner to work our way into the tasting, which will serve as dessert, and I have even concocted a batch of scotch truffles as a thank you gift for our hosts. All is well … except my dear partner. He started looking and feeling very “green about the gills” the next morning and by noon, it is clear he has the flu. And since this is something best not shared, we put in a phone call to our hosts, and “call it a day”. So I have still not become a scotch lover. But perhaps it is better this way, as now I am actually intrigued, and the more reading I do of Stephen’s notes, and on the subject of scotch in general, I have to admit, I am willing to be convinced. And with Robert Burns Day coming up this weekend, and an invitation from Stephen to join them for a Burns Supper, complete with traditional and vegetarian haggis, I just may need a good shot of scotch to get me through it! Stay tuned to find out if I’m a Convert or Not?